The Story DLC "The Price of Survival" is available today for "Shadow of the Tomb Raider", including the accompanying trailer. The Story DLC "The Price of Survival" was released today for "Shadow of the Tomb Raider". Square Enix shows the right trailer. The extension is available separately or in season pass. 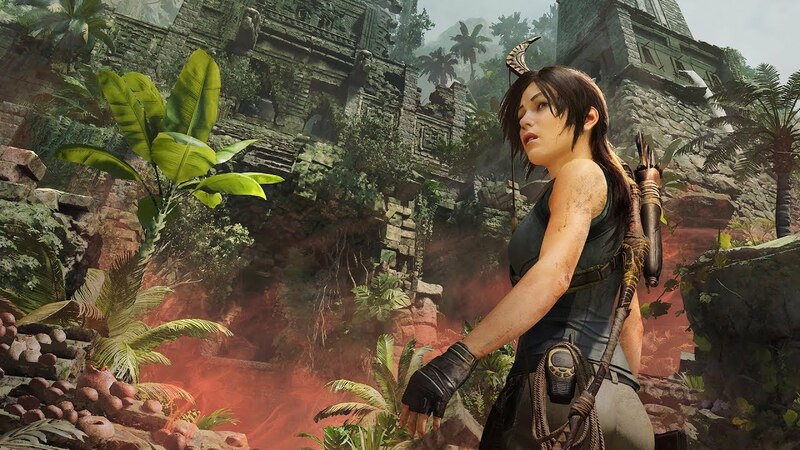 That's it: "In the new Story DLC players return to the world of Shadow of the Tomb Raider and solve the mystery behind Lara Croft's biggest opponent, while Lara tries to crack the codes of Trinity's leader , giving them a new challenge with a grave full of poison. Overcome traps and defeat elite soldiers. " With the new outfit "Jägerortiment", a Trinity outfit, Lara's footsteps become quieter during the race. The outfit also strengthens Lara's perception. You also get Silent Sting, a silenced gun for silent attacks. In addition, the ability of Raptor Eye improves Lara's talent to target enemies and makes their contours visible through walls and other obstacles. As part of the update are the tombs "Judge & # 39; s Eye", "Gate of the Underworld", "Howling Caves", "Path of Battle", "Temple of the Sun", "San Cordoba" and "Ancient Aqueduct" "from the main campaign now all available. also playable in the point and time attack.